One of my all-time favorite artists is Florine Stettheimer, a Jazz Age American painter, poet and set designer. 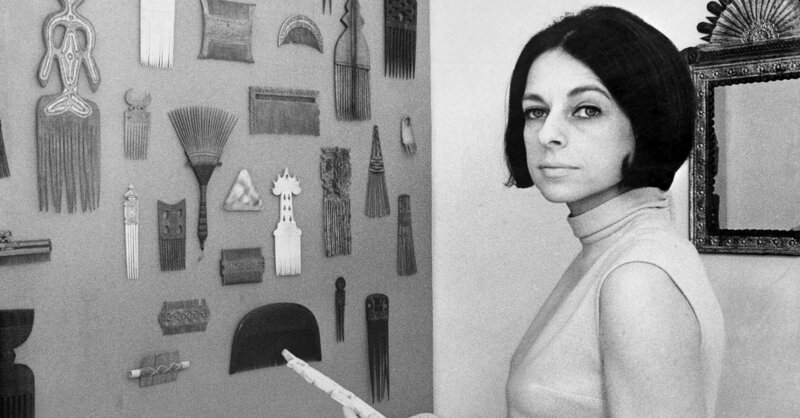 Raised in a wealthy Jewish family, she was active in New York City’s art scene and even hosted her own salon for modernists in Manhattan along with her two artistic sisters. With no need to sell her art, she had the luxury and freedom to create for herself and her circle of artist friends. The Jewish Museum recently hosted a wonderful exhibition of Stettheimer’s flamboyant and feminist works. I am partial to her painting Natatorium Undine, which I studied as an undergrad. 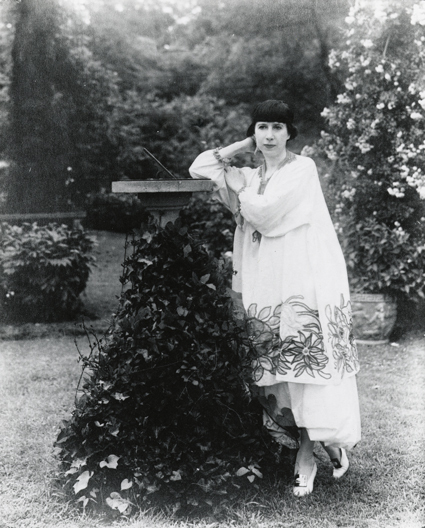 Florine Stettheimer, circa 1910. Courtesy of the Smithsonian American Art Museum. 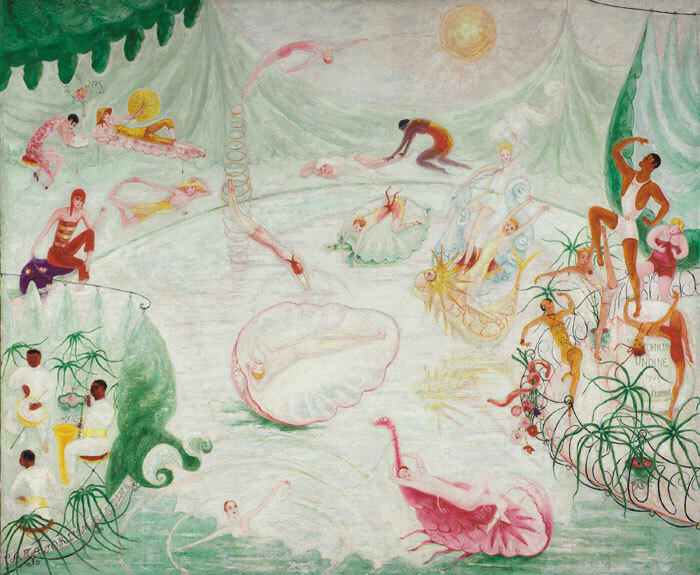 Florine Stettheimer, Natatorium Undine, oil and encaustic on canvas, 1927. Courtesy of Vassar College. If you’ve ever been to the Brooklyn Museum, you may have stumbled upon the incredible and monumental installation by Judy Chicago, The Dinner Party. I’ve seen the work many times, and still can’t go to the museum without strolling around the large triangular banquet table, adorned with place settings dedicated to 39 important women throughout history. In addition to the intersectionally feminist and unapologetic display, she also pays homage to 999 other women in inscriptions on the floor below the table. The installation is currently supplemented by a great exhibition that delves into Chicago’s complex process of creating this work, also acknowledging the many other female artists and artisans who contributed to the preparation, sewing, enameling and installation of the whole artwork. 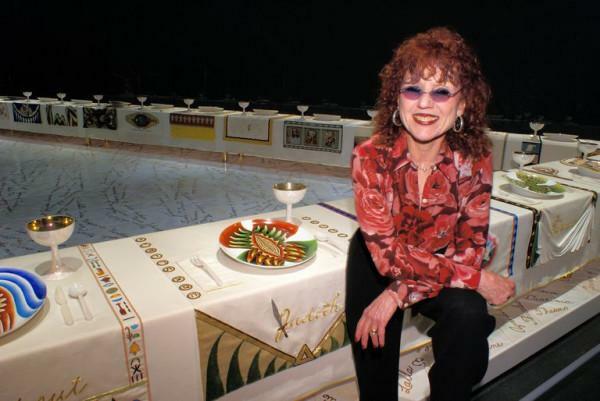 Judy Chicago and The Dinner Party. Courtesy of Judy Chicago. 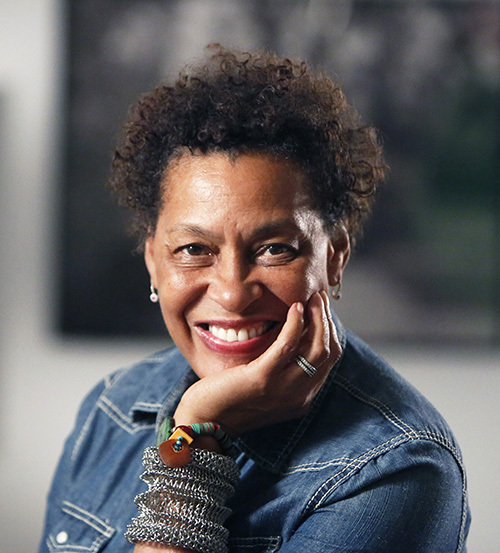 Carrie Mae Weems is one of my favorite living female artists. I’ve become familiar with her oeuvre while working at Swann, as well as through exhibitions. A fantastic show of her photography at the Guggenheim corresponded with their large Futurism exhibit a few years ago. Her explorations of racism, sexism, family dynamics and politics through various media was a welcome contrast to the hyper-masculine and militaristic Futurist art that was on view just outside the gallery. I was especially moved by her series, From Here I Saw What Happened and I Cried, in which she juxtaposes contemporary text and historical images to highlight changing (or not changing) prejudices against African Americans. Carrie Mae Weems. Courtesy of Louisiana State University. 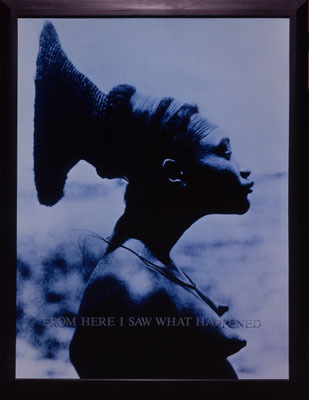 Carrie Mae Weems, From Here I Saw What Happened and I Cried, 1995-96. Courtesy of Carrie Mae Weems. Another living artist I’m drawn to is Barbara Kruger, who I first learned of as a high school art history student. Her silkscreen text over photographs, comprising some of her best-known works, largely highlights current ideas about feminism, activism, capitalism and politics. 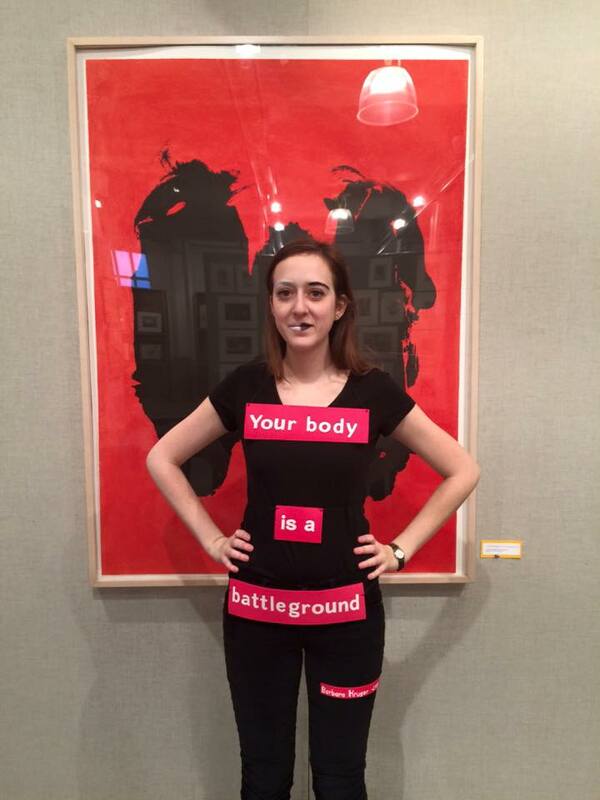 I was inspired by her 1989 work for a reproductive rights protest in creating my work-day Halloween costume a few years ago — Your Body is a Battleground. Barbara Kruger. Courtesy of Smithsonian Magazine. 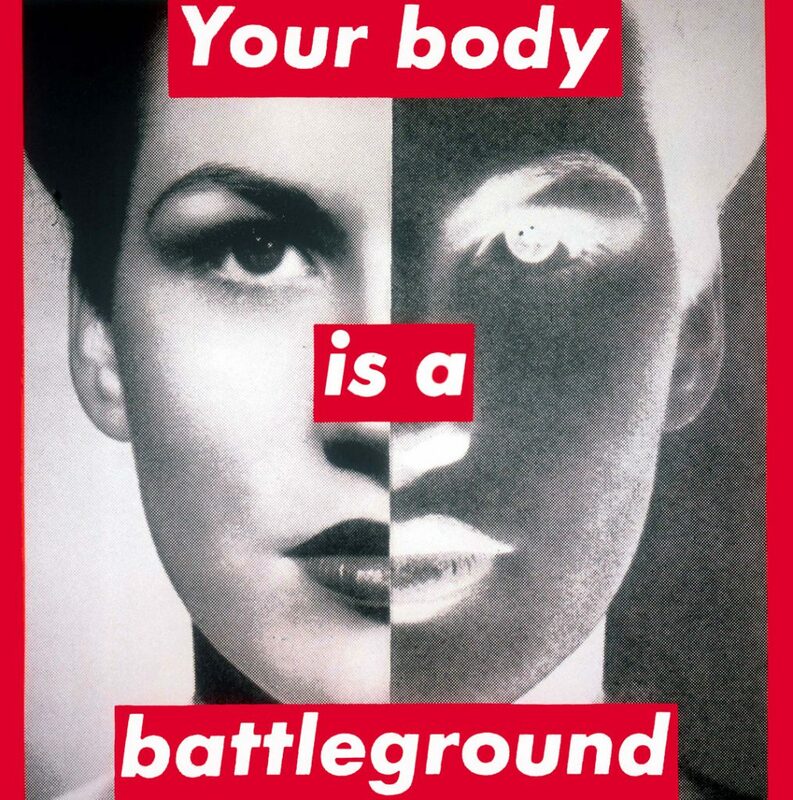 Barbara Kruger, Untitled (Your Body is a Battleground), photographic silkscreen, 1989. Courtesy of The Broad Museum. 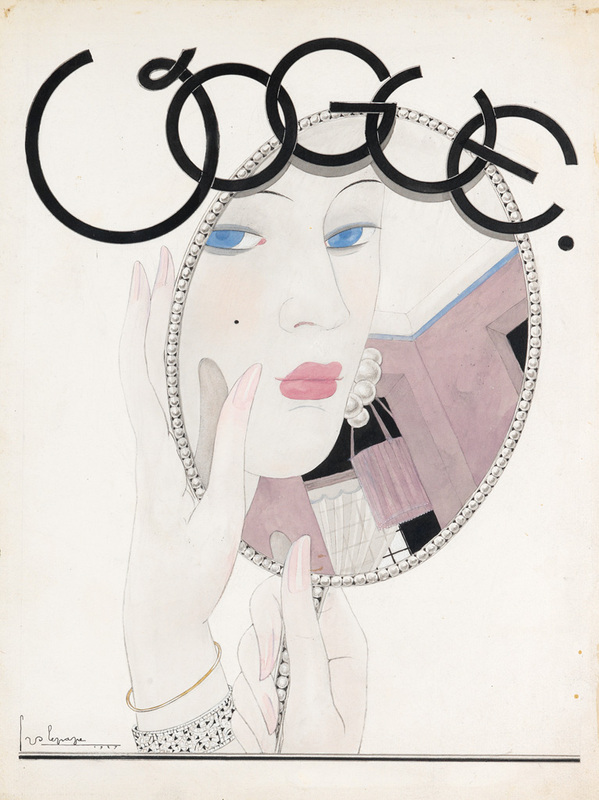 As a poster specialist and history buff, I find myself drawn to the graphic works of Dorothy Waugh. 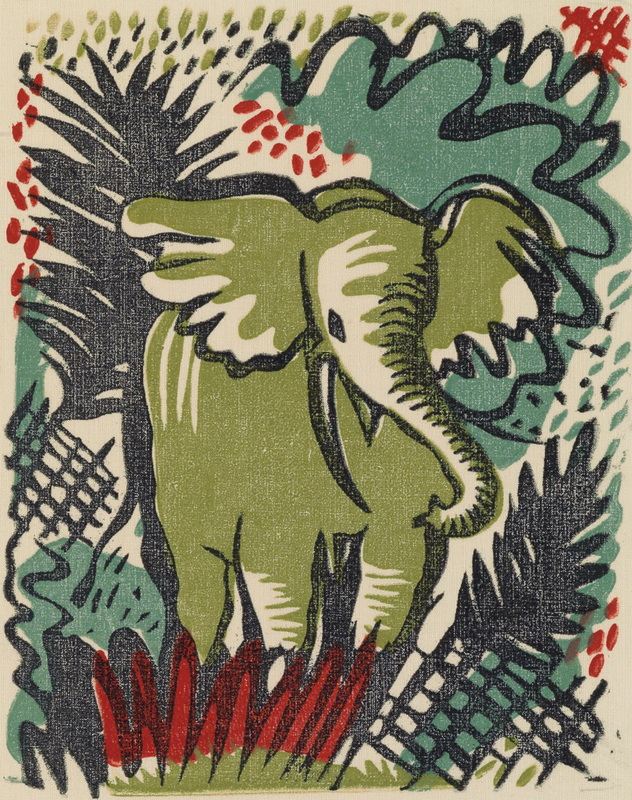 After spending part of her career in New York producing children’s books, during the WPA era, she worked for the National Park Service and created at least 16 national and state park posters. Her posters really exhibit her skilled eye for typography, bold color palette and creative graphics. 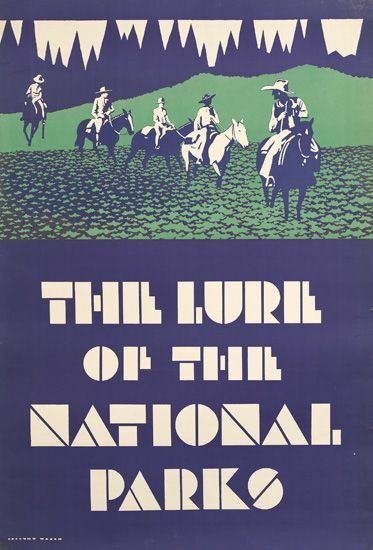 Dorothy Waugh, The Lure of the National Parks. Sold February 8, 2011 for $1,920. \We’ll be posting more lists from the women of Swann this week!